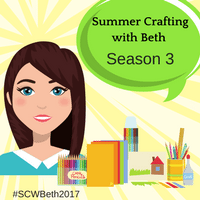 Today is the last week of Summer Crafting with Beth! Today we will be creating Coffee Filter Art. We will show you how to get started but the possibilities on how to use them are endless! We would love for you to show us your pictures, so use #SCWBeth2017 or #primepestga to tag us in your photos. 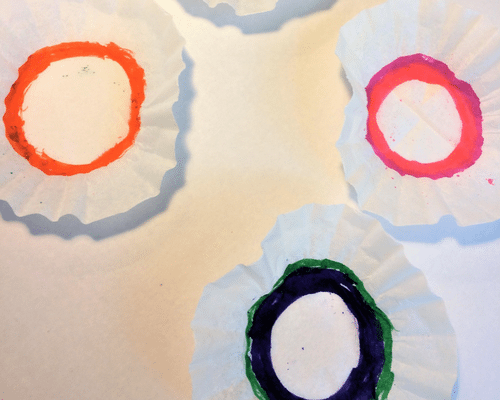 Draw a circle on the coffee filters. Then place the center into a bowl of warm water. The water will slowly creep up paper filter, spreading the marker ink. This part will take a while. Check out our timelapse video we made of the process! When the filters are done, pull them out of the water and let them dry. Then, the possibilities are endless. Make butterflies out of them with a bit of pipecleaner, cut up the filters to create a mosiac collage, or add a pipeclear stem to create a flower! We just typed in “Coffee Filter Art” in pinterest and a ton of ideas popped up! Check out our Coffee Filter Art on Instagram. Happy Crafting & have a great rest of your summer!